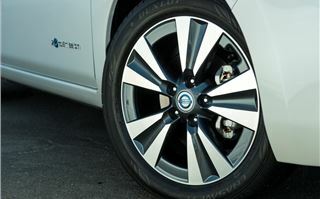 Can it really be time for a Nissan Leaf facelift? After less than two years on sale in the UK, it would seem so. 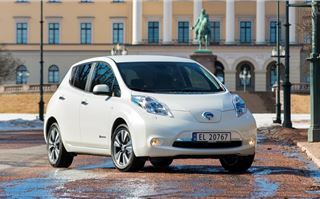 That's incredibly unusual in the automotive industry, but there again, the Leaf is no ordinary car. It owes more to the the world of high-end tech, where products rarely last a year without a serious update. And like a lot of tech, it might look the same, but Nissan has made more than 100 changes. 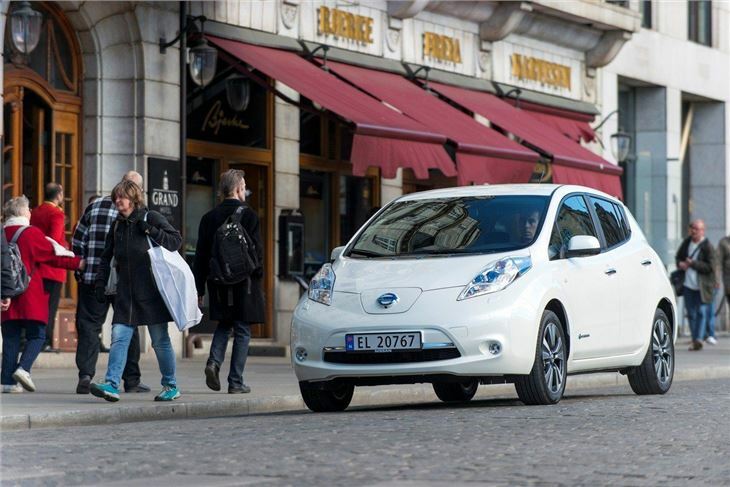 This has predominantly been from the feedback of first-generation owners, making the Leaf more affordable, improving its range, and increasing its usability. 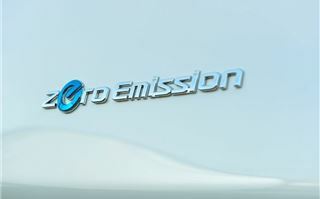 The revised car, which is now being built in Sunderland, can travel 15 miles further on a single charge than the outgoing model and, thanks to a 70% more efficient heater, driving in cold weather wont set you back as far as it used to. On our drive the range was only knocked back a couple of miles with the heater active, whereas that would have been ten or more miles in the old car. Perhaps a more important improvement is the revised suspension. Nissan decided to re-engineer the steering and suspension to better suit European tastes, and the result is a very well-judged ride. 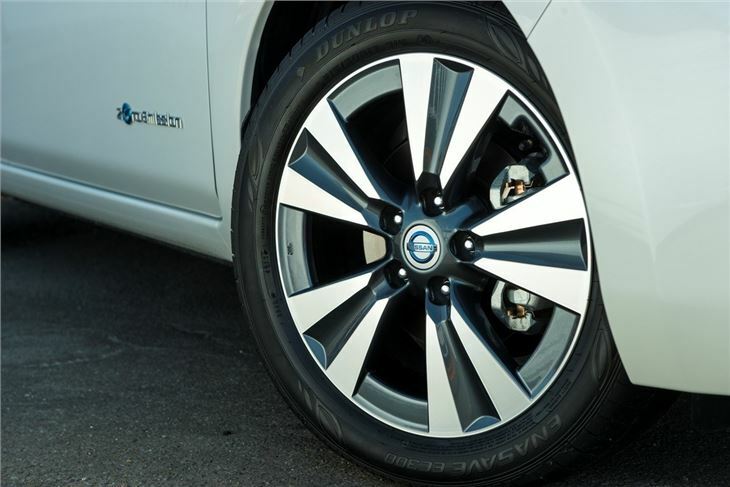 The revised Leaf is smooth and comfortable over lumps and bumps and yet remains reasonably flat over them. It also has pleasingly weighted and accurate steering, making for an enjoyable drive. The revisions couple well with the electric powertrain, too. 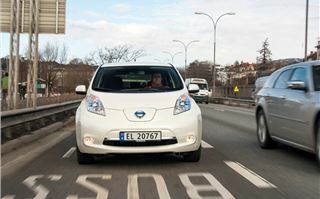 The Leaf is incredibly quiet and refined even at motorway speeds and, thanks to the way electric motors deliver drive, peak torque of 254Nm is delivered from zero revs. In town the result is excellent performance off the line and, because there are no gears to worry about, getting up to speed and driving in stop/start traffic is a joy. Nissan hasn’t just tweaked the driving range and suspension, though. 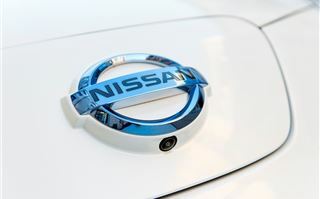 Owners of the old car complained that the pale interior trim showed dirt and so Nissan has now fitted black materials, plus those who really want some luxury can get leather upholstery, but they have to pick the top trim level. 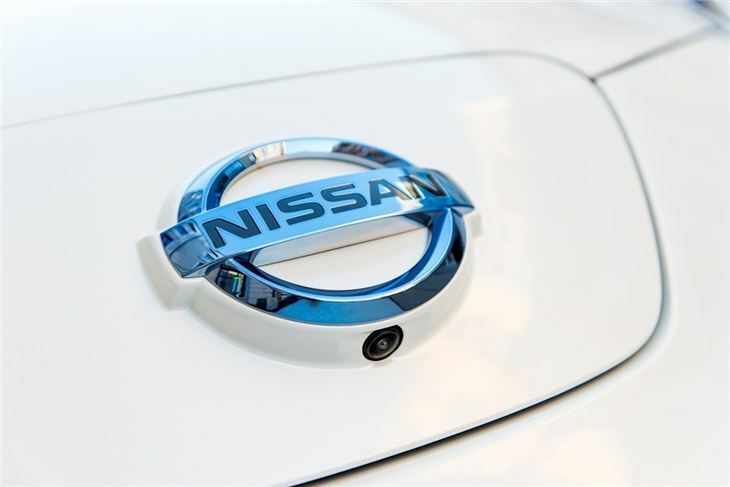 Previously Nissan only offered one trim, but now there are three – Visia, Acenta and Tekna. The addition of an entry level Visia model means a more affordable entry price of £20,990 after the £5000 government grant for greener vehicles, but buyers will forgo luxuries like alloy wheels. 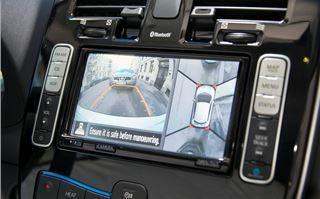 Mid-level models are equipped much like the outgoing Leaf, which means plenty of gadgetry like a ‘CarWings’ in car computer, a reversing camera and automatic lights. 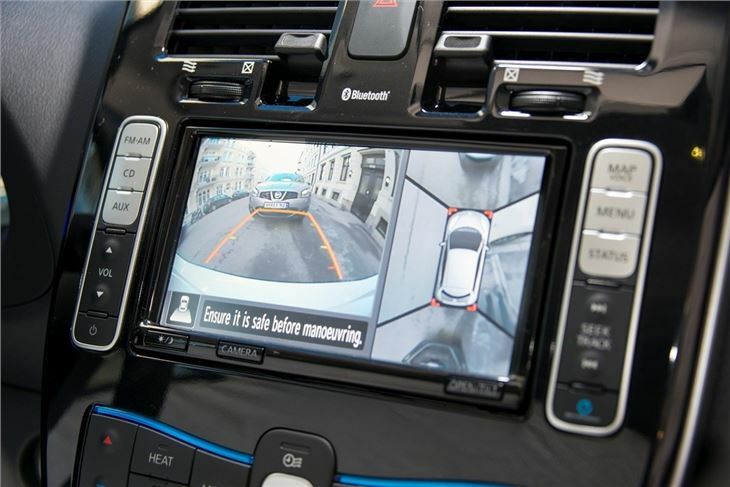 Moving up to the top ‘Tekna’ trim gets you higher-quality Bose audio, leather upholstery and a rather nifty ‘around-view’ camera, which gives you a birds-eye view of the space you’re parking in and makes tight gaps as simple as child’s play. Regardless of trim the cabin is neatly and logically laid out, but there are none of the plush, soft-touch plastics you might expect, which is a shame. 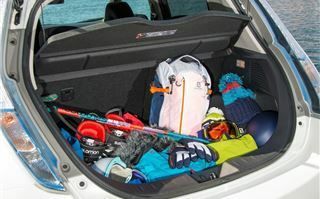 Nissan has increased rear load space ever so slightly, making for a more useable boot with room for two suitcases, and there’s a little more foot room for rear seat passengers in the revised car, making it that little bit more practical as a family car. Another handy and practical touch is the addition of a light near the charging point to help you hook up to power in the dark. 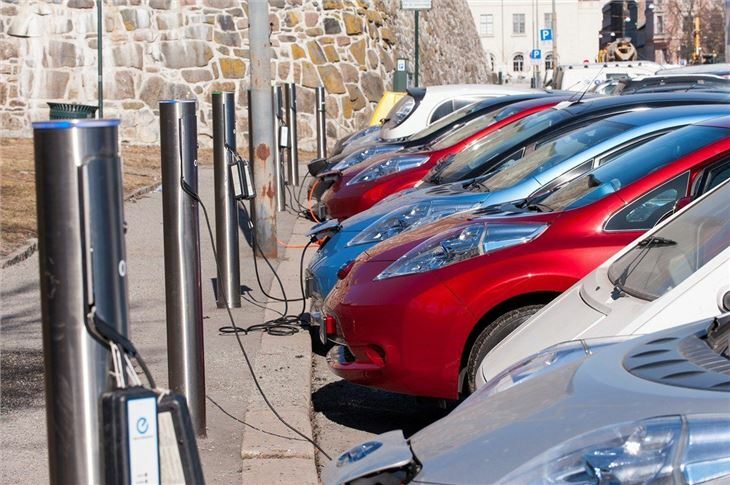 Finding a place to plug in should be easier in future, too, as infrastructure improves. 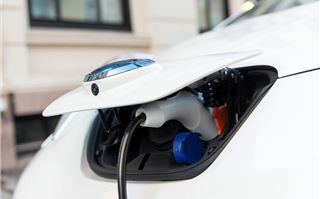 To help the Leaf keep up it’s now possible to charge from empty to full in four hours using a higher charger which is relatively cheap to install, and should start to appear in more places over the next few years. 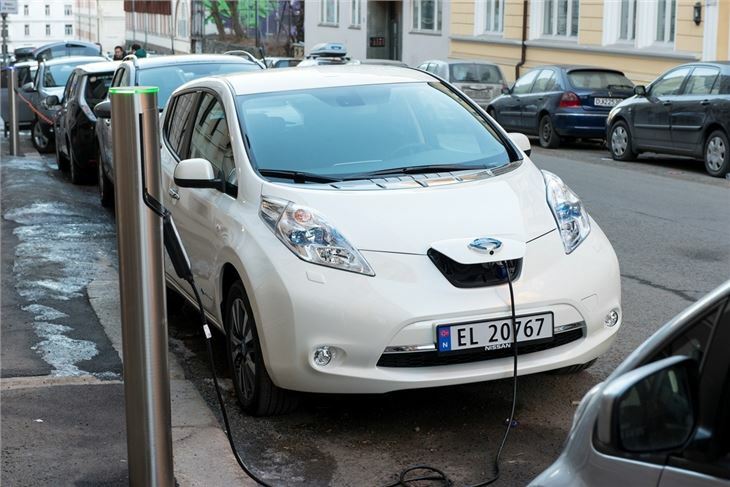 Expensive fast chargers are relatively rare but are installed in some Nissan dealers and can charge the car from empty to 80% in just 30 minutes. 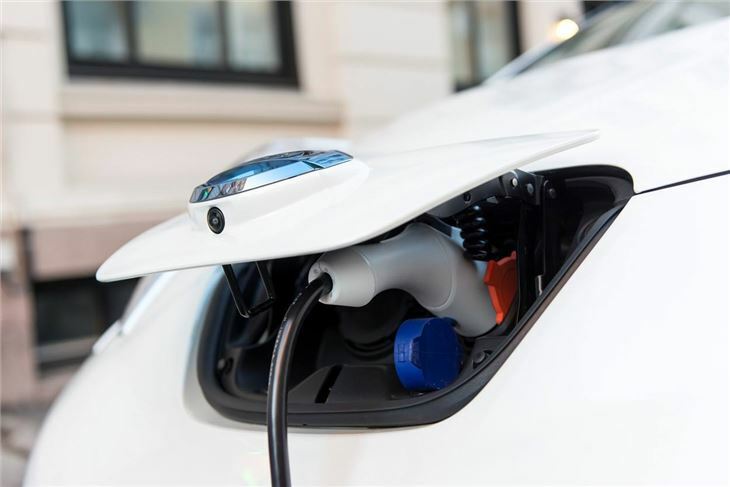 Most owners will charge their car at home, though, and from the mains it takes about 12 hours from empty to full – but faster chargers can be installed at home and the government will subsidise the cost, making ownership less painful. 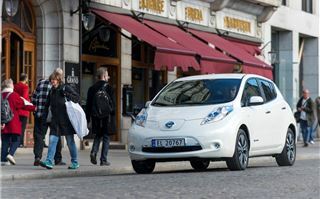 Nissan launched the revised Leaf in Norway, which is some way ahead of the UK in terms of both infrastructure and the way it incentivises EV ownership. 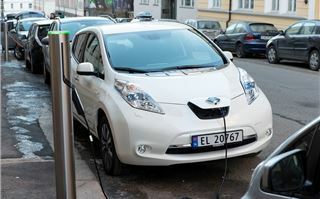 Owners of electric vehicles in Oslo can park for free and charge their car for free in one of many specialised car parks. On top of that, they can drive in bus lanes. 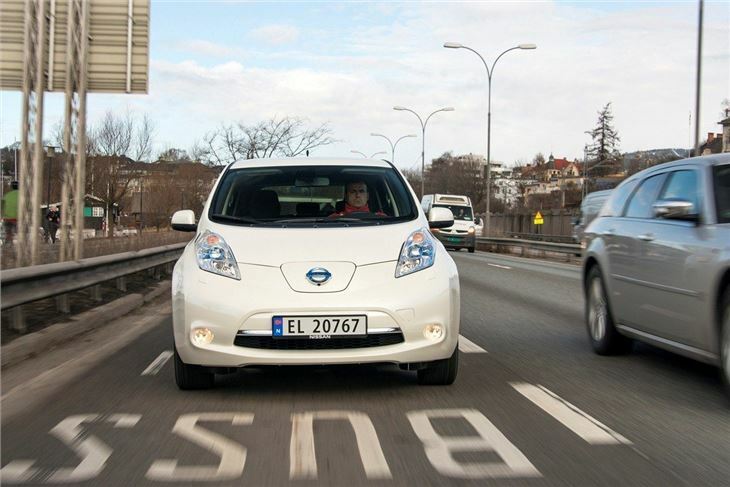 Consequently sales of EVs in Norway are huge - the Leaf was the sixth bestselling car overall in January 2013. It goes to show how electric vehicles can be well integrated into cities and gives a clue as to what the UK’s strategy might be like in a few years. Regardless of improvements to infrastructure the Leaf is still not a particularly practical proposition for high-mileage drivers – it takes too long to charge. 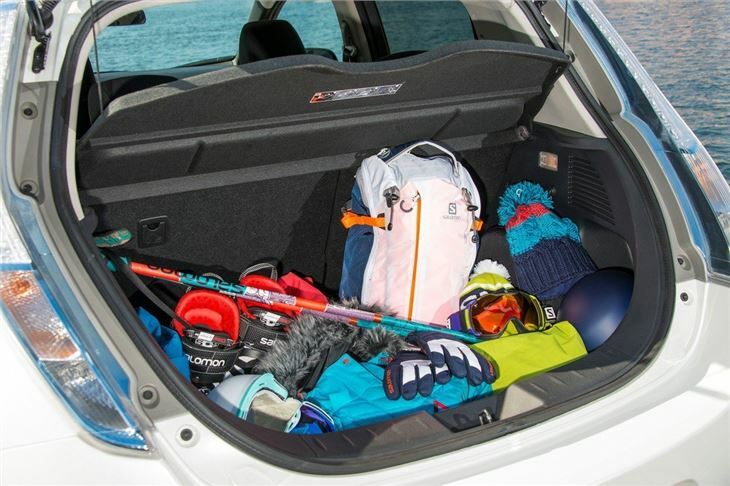 It’s at its best as a commuter car or a town run around, so until charge times are c those who regularly spend hours on the motorway should look elsewhere unless they have a second car. 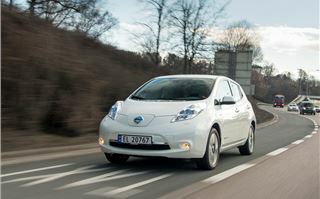 The changes might not be radical, but Nissan has responded to feedback and worked hard to improve the Leaf, and they’ve managed to make what was already the most convincing pure electric vehicle on sale an even more realistic real-world proposition. 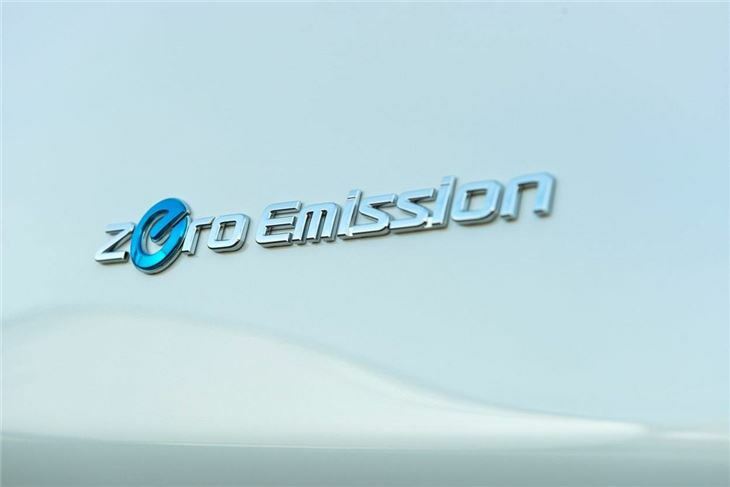 Furthermore, if the price has been offputting then new trim levels, coupled with a new option to lease the battery, will make the cost a little less of an issue. Leasing the battery costs from £70 per month and cuts the list price by £5000, and it adds some extra peace of mind because any battery faults are taken care of at no cost. The revised Nissan Leaf won’t suit everyone, but if you’ve considered one already then these changes might well help you make up your mind.